Jennie Huntoon holds a B.A. in composition and music history from Hood College and received her masters' education from Eastern Illinois University. An active composer, Jennie specializes in choral and musical theatre work; her compositions have appeared in productions at Broom Street Theatre in Madison, WI and at the 2016 New York City Fringe Festival. Her most recent work, Light of the World: A Christmas Cantata, was commissioned and premiered by Grace United Church of Christ in Frederick, MD. 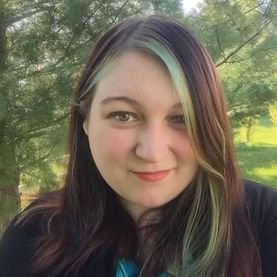 Jennie sings professionally at All Saints Episcopal Church in Frederick and has served as music director for theatre productions at the Fun Company (Maryland Ensemble Theatre), Broom Street Theatre, and Hood College. As a teacher, Jennie works to cultivate an environment of fun learning and personalized curriculum, with special emphasis on building music theory and sight-reading skills as well as working towards specific performance goals. Jennie's students also benefit from her work as an arranger, ensuring that students of all skill levels can work towards playing the music they love best. Click Here to contact us about lessons with Jennie!